The Garter Girl’s B.Y.O.B. Workshop! I am thrilled to share this great resource for small business owners today! 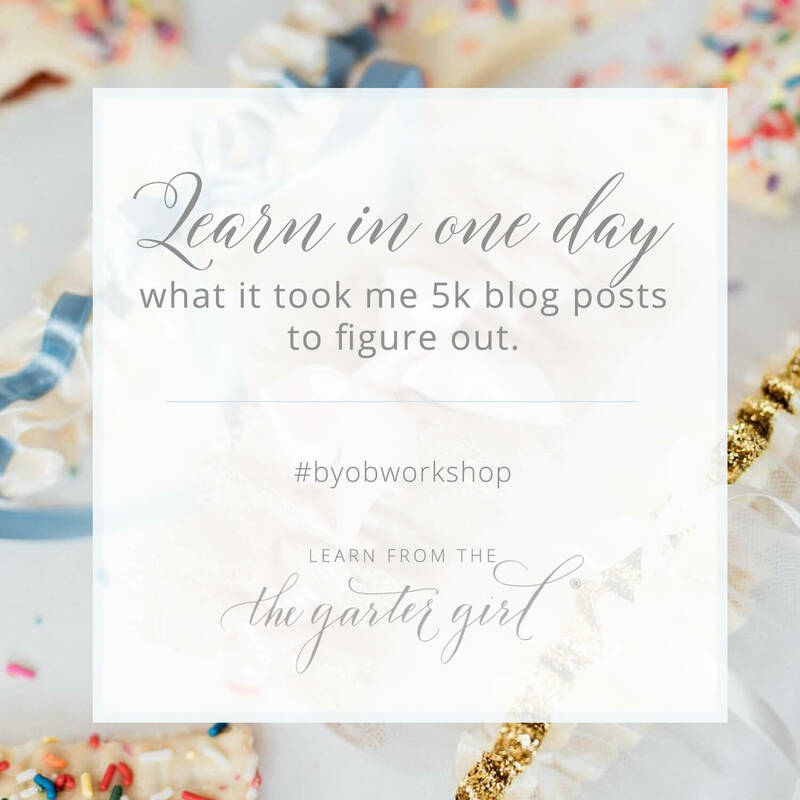 Juli Smith of The Garter Girl is hosting a Build Your Own Blog workshop that walks professionals through the in’s and out’s of blogging for your small business. This is her second round of workshops – the first was such a success, she felt the need to share the love with more people! Juli will be hosting one in Maryland on February 7 and one in Washington, DC on February 28. This gal really knows what she’s doing, so this is an event you won’t want to miss! For more information and to register, check out her page here. FOR A LIMITED TIME: Get a $100 discount on your registration fee until January 8, 2017, with the code “earlybird” (without quotes).